After 41 years, the Fifth Third River Run changes it name in downtown Grand Rapids. Next year, Amway will become the new title sponsor of the Amercia’s largest 25k called the Amway River Bank Run 2019. 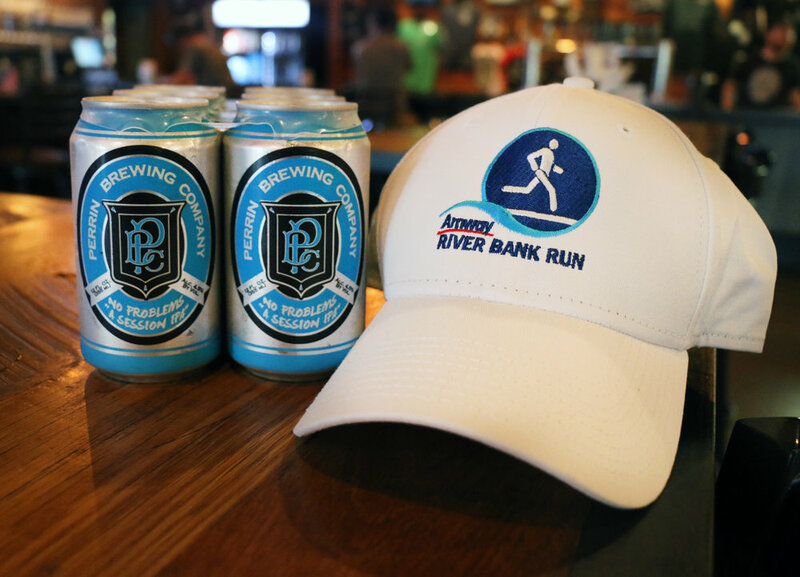 Perrin Brewing Company will continue its involvement with the Amway River Bank Run as the official craft beer sponsor of the event. Leading up to the big event on May 11th, 2019, join Perrin Brewing and running beer enthusiasts in “No Problem Training Series” every second Tuesday of the month starting in December. A 1-3mile run starting at 6pm followed by socializing, food and beer. Perrin Brewing can also be found at the Sports & Fitness Expo on Friday, May 10th. Relax before race day in the Perrin Beer garden and celebrate post-race at Finish Fest! Last one there… no problem! 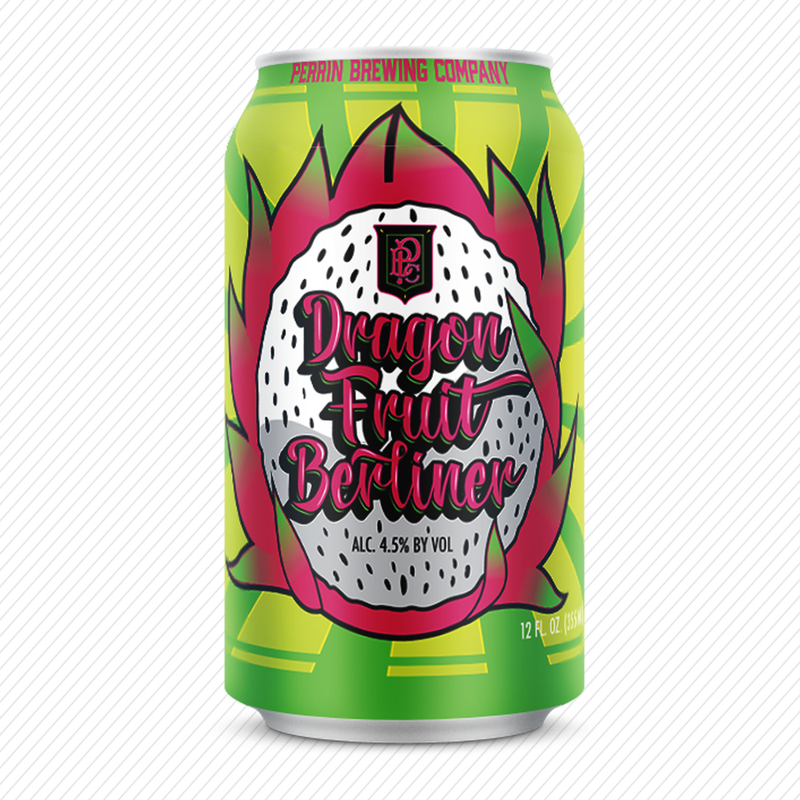 Up next in the Session Sour series is Dragon Fruit Berliner! Brewed with dragon fruit, kiwi and a combination of Michigan and Australian hops. 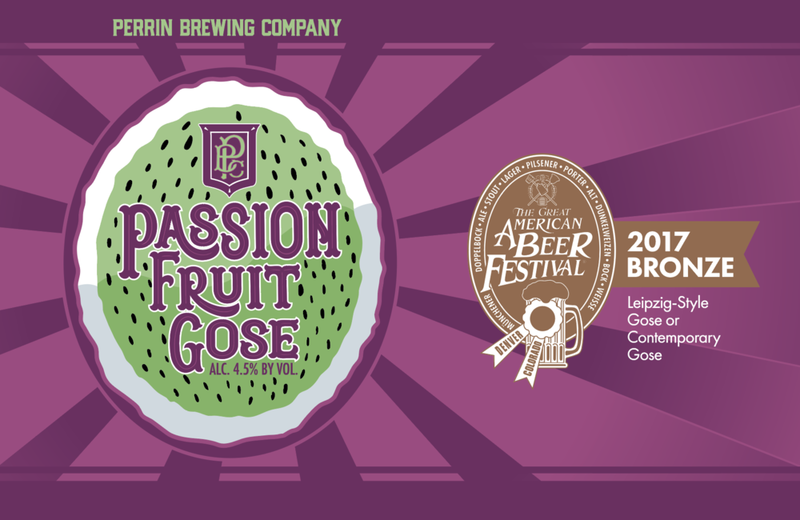 Stock up on Passion Fruit Gose as we prepare to roll over into Dragon Fruit Berliner mid-Fall. The Perrin Veteran Pale Ale is made once a year to honor the community’s veterans and their families. This year, Perrin Brewing will be donating $1 per pint of VPA from the Perrin Pub towards the Finish the Mission Veteran Relief Fund. The West Michigan Freedom Cruise and partner charity, Finish the Mission Veteran Relief Fund have been strategic partners with Perrin Brewing Company for several years, each year crafting a specialty beer to raise funds and awareness for the Finish the Mission Veterans Relief Fund. The Finish the Mission Veteran Relief Fund is an organization with a single focus of making West Michigan the most Veteran-friendly community in the nation by providing for the Grand Rapids Home for Veterans. Veterans Pale Ale is a crisp, refreshing strong pale ale with big hop aroma. Juicy hops are balanced with specialty malt for a smooth body and huge juicy hop aromas. For every pint sold of VPA at Perrin, one dollar will be donated to the Finish the Mission Veteran Relief Fund to support and enhance the quality of life for local West Michigan veterans and their families. Feel the freedom, and cruise this pint down for our Veterans. 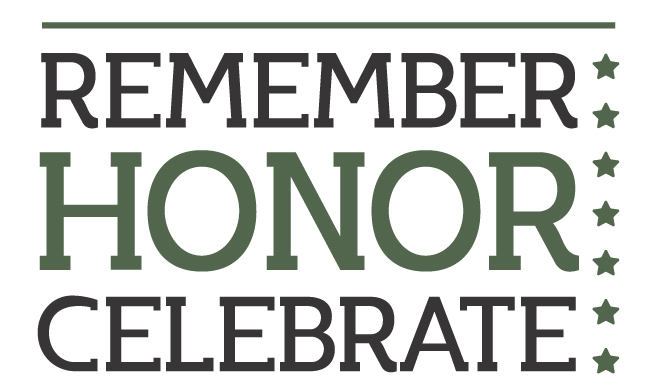 Perrin Brewing is honored to be a part of this organization and support those who have made the ultimate sacrifice for our country. 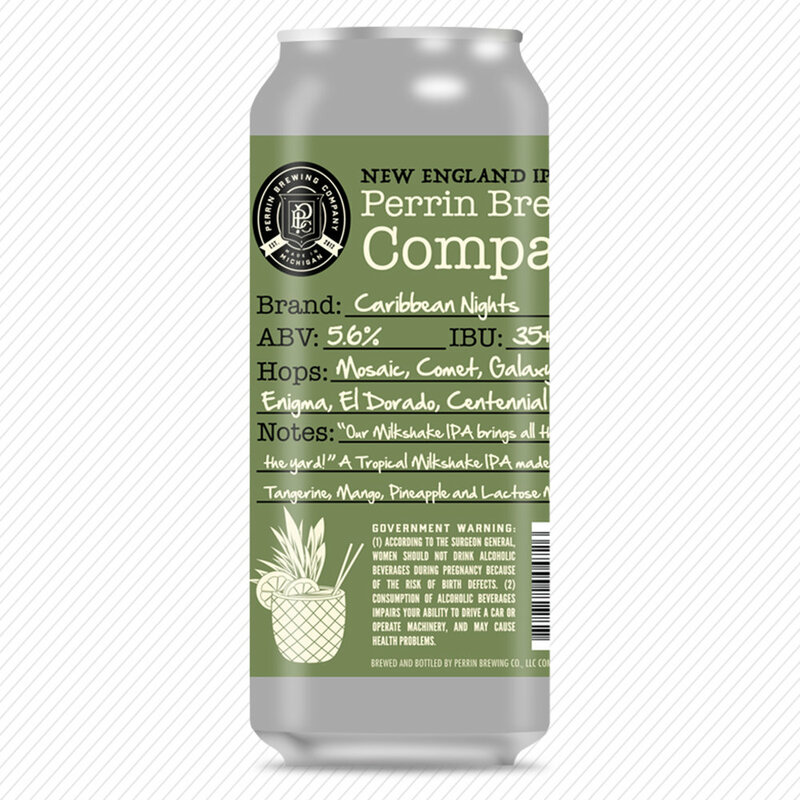 "Our Milkshake Brings All the Hops to the Yard"
The next release for Perrin New England IPA Series is Caribbean Nights, Milkshake IPA. A tropical Milkshake IPA made with tangerine, mango, pineapple and lactose milk sugar utilizing Mosaic, Comet, Galaxy, Citra, Enigma, El Dorado, and Centennial hops. The first sip of this season's Blackberry IPA is just around the corner! The combination of the tart sweetness of ripened blackberries along with an aromatic floral bouquet of fresh Michigan bittering hops. Sit back, relax, and enjoy the change of the seasons wherever you are. 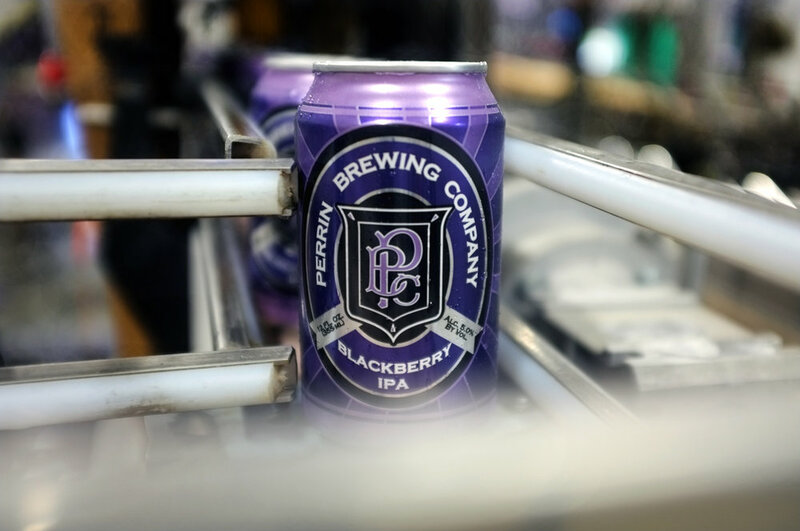 Blackberry IPA hits the Pub on August 23 and stores the following week. Available 6-pack & 15-pack until March, longer than ever before! Haze Craze Continues... Milkshake IPA! We're diving into the summer's hottest style...Milkshake IPA! We were blown away by how Soops Joos, a hazy New England IPA sold out in a few weeks, so to keep the haze craze going we're introducing next up in the NE IPA series, Caribbean Nights. A tropical Milkshake IPA made with tangerine, mango, pineapple, and lactose milk sugar. 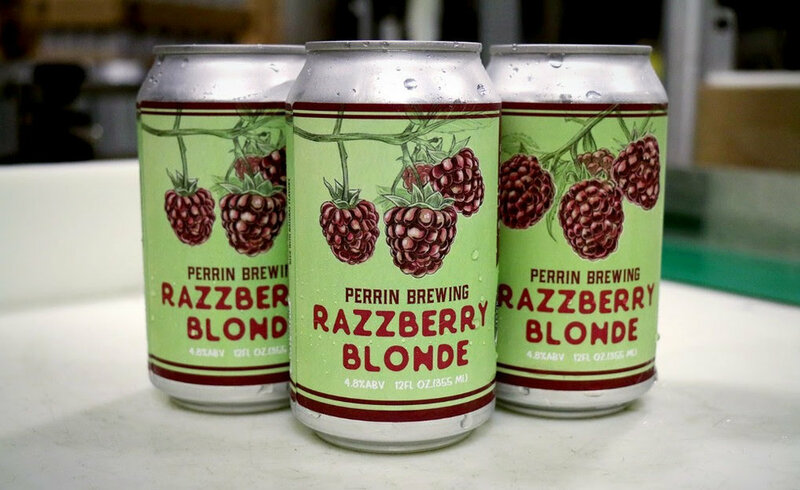 Up next in the one-off can release is Perrin Razzberry Blonde. Razzberry Blonde 6-packs are designed, sealed, and being delivered to stores across Michigan. A session-able and light fruit beer with an intense raspberry aroma and flavor that finishes dry and crisp with a sweet, refreshing tartness. Three Weavers Brewing Company, one of the largest independent craft breweries in Los Angeles County, today announces a strategic partnership with the disruptive craft brewery collective, CANarchy. 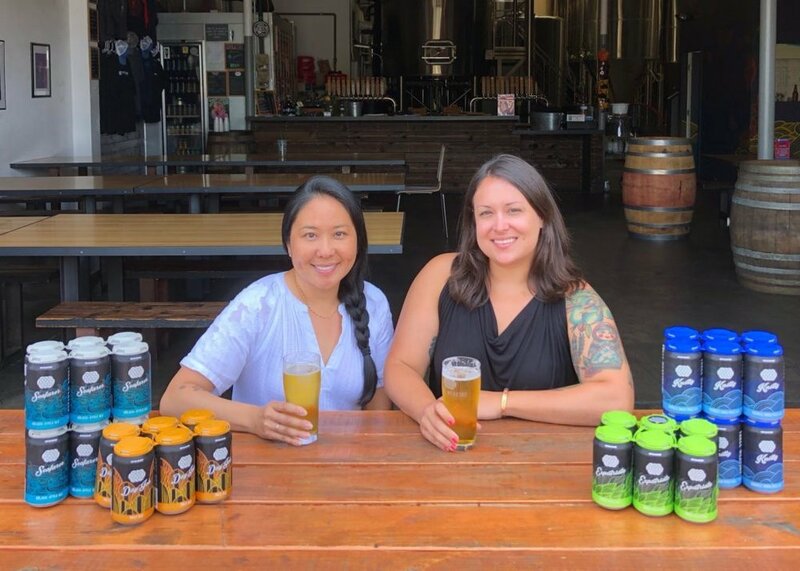 Under the leadership of Founder Lynne Weaver and Brewmaster Alexandra Nowell, Three Weavers has built a strong local following through its passion for the craft beer industry, award-winning craft beers, and mission to promote a positive sense of community. CANarchy was recently ranked #9 on the Brewers Association’s list of the 2017 Top 50 U.S. Craft Brewers as ranked by sales volume. 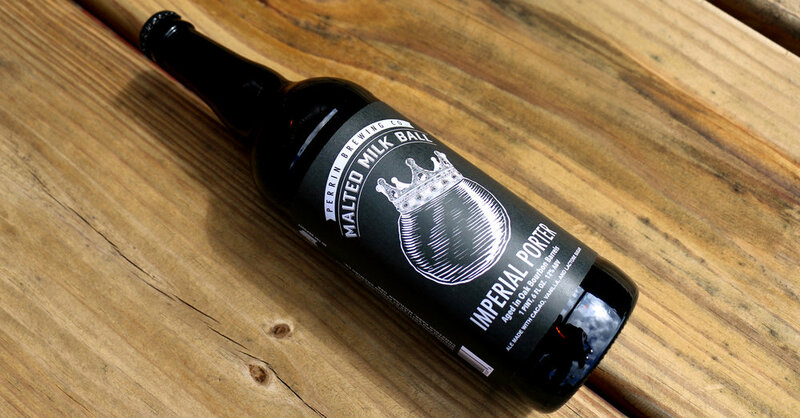 The CANarchy craft beer portfolio includes Oskar Blues Brewery, Perrin Brewing Company, Cigar City Brewing, Squatters Craft Beer and Wasatch Brewery, and Deep Ellum Brewing. The collective is the #1 provider of American craft beer in a can and has driven Cigar City Brewing’s Jai Alai IPA and Oskar Blues’ Dale’s Pale Ale to the #1 and #2 sold craft can six packs in U.S. Grocery. CANarchy delivers a diverse mix of innovative breweries and world class beers to distributors and retailers while providing modern beer drinkers the variety they demand. With the addition of Three Weavers, the CANarchy portfolio expands its reach across the U.S., from the East Coast to the West Coast, with leading regional breweries in California, Colorado, Florida, Michigan, North Carolina, Texas, and Utah. The aggressively growing collective provides a platform from which rapidly growing craft breweries seeking high level resources can expand and compete in the increasingly competitive craft beer segment, while maintaining their independence. Driven by individual brewery culture, CANarchy enables brewers to maintain control of their businesses and brands while providing the resources and support to scale their respective operations. What a way to support an amazing cause while having a blast! The first Perrin Brewing and Can’d Aid Foundation charity music gathering on June 15th went off without a hitch and raised over $5,000! For the first Can'd Aid Benefit Concert, it was a smaller more intimate setting among the crowd and bands. 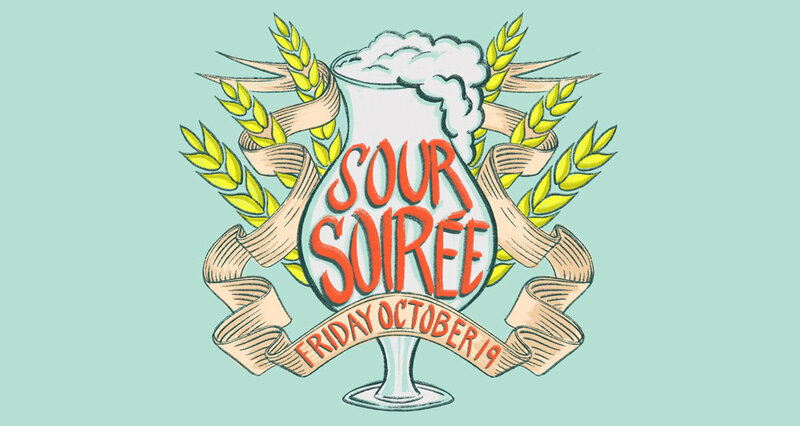 It was made possible by the participation and help of Perrin Brewing staff and brewers, Can’d Aid Director Diana, volunteers, donors and several sponsors. Support from food vendors included Standard Pizza Co., delicious brick oven pizza, Nothing Bundt Cakes for a taste of decadent cakes and RRR Cigars for high-quality hand-rolled cigars. Everyone was able to enjoy local food, lawn games, cigars and great beer with live music from musicians Seth Bernard, Mark Lavengood and Grammy Award-Winning Steep Canyon Rangers! The Can’d Aid Foundation’s mission is to make a difference through volunteer acts of “do-goodery” by supporting Towns, Tunes, Treads + Trails and Love Yur Mama programs. This resonated well with us here at Perrin Brewing so the first thought was to share the love of music and do-goodery by hosting a party in our very own backyard! On behalf of everyone at Perrin Brewing and the Can’d Aid Foundation, we thank you and everyone involved in making this charity event a stepping stone for great Michigan Can'd Aid efforts to come!